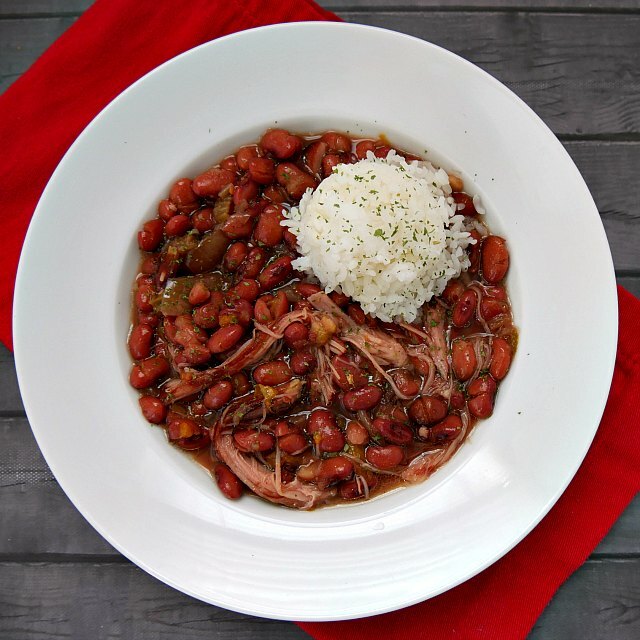 Slow cooker red beans and rice recipe is an simple and budget friendly recipe for the Crock-Pot. One of the reasons I love my slow cookers is that they save me a lot of cash throughout the year. That being said, there are some days (or weeks), when money is really tight. That’s when a great frugal dish like the one below comes in handy. It tastes great and fills the belly for little money. And if you’re really broke, skip the veggies or use what you have in the fridge and just spice it up with whatever herbs and spices you have on hand. 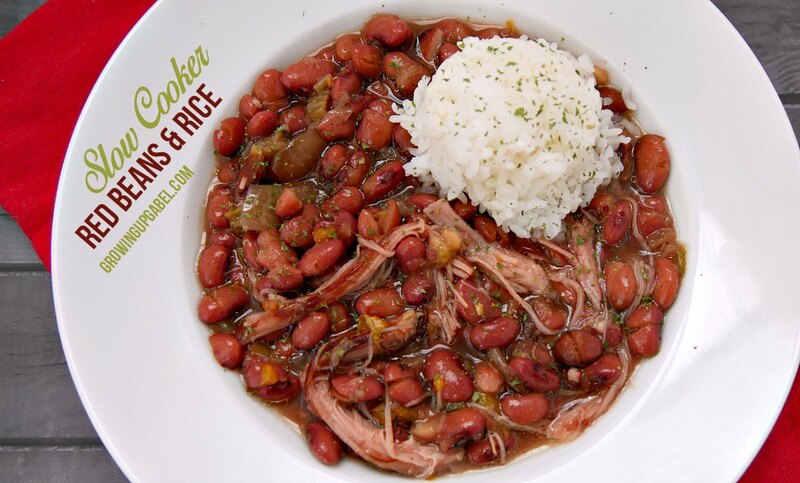 This is a slow cooker red beans and rice recipe, but you could use pinto beans. 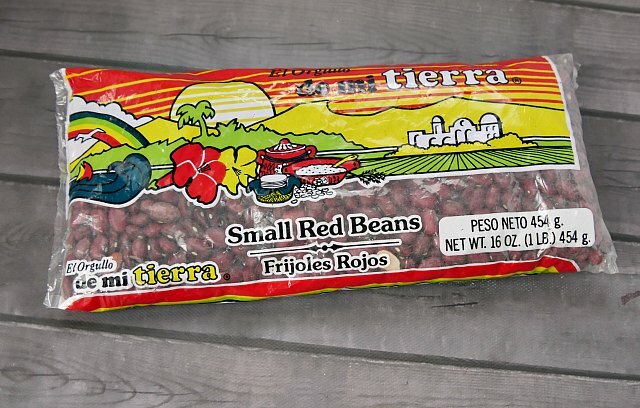 Be careful not to get kidney beans. They are not the same and there is some issue with needing to boil them first. I'm not clear on that so just steer clear. I used this bag and found it in the Latin food aisle. I don't soak beans, ever, but soak the beans overnight if that's how you make beans. 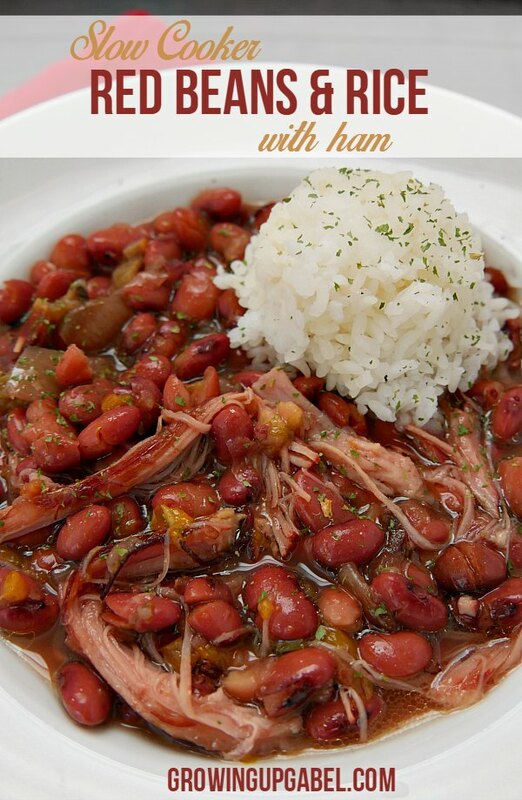 I made this batch of red beans and rice using a leftover ham bone from Easter. I'd stashed it in the freezer for use at a later date. I actually didn't even use the bone. I pulled off the big hunks of meat, fat and skin on the end and used those. It worked great! 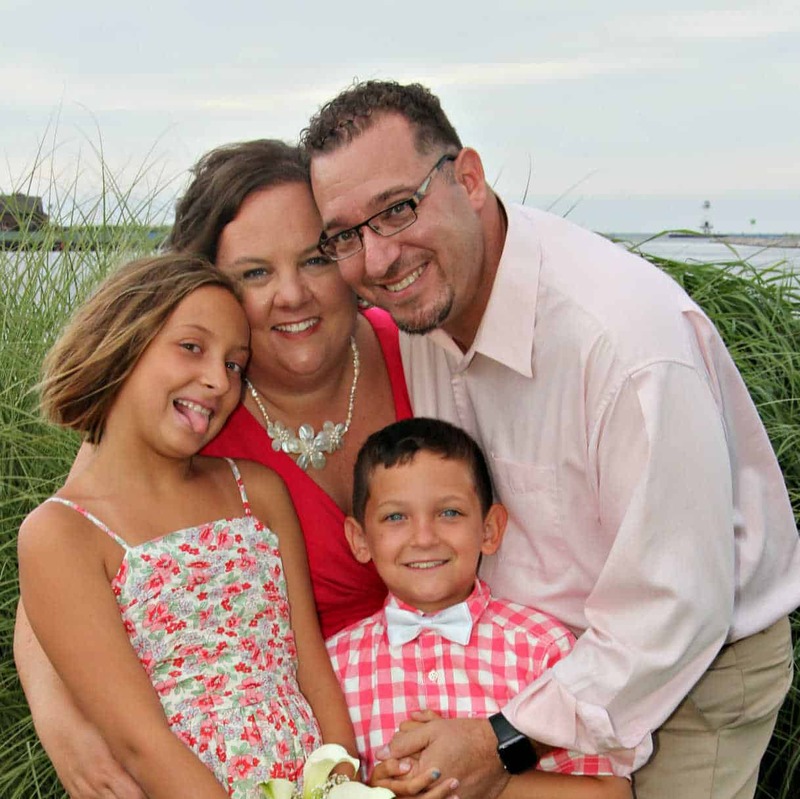 This is definitely a recipe you can cook all day while gone. It doesn't need to be watched at all. It's done when the beans are soft. Remove the ham from the pot and shred the meat. The ham really didn't have much flavor left in it so I wouldn't worry about it too much. But I did leave a little in. Serve with fresh cooked rice. Use a programmable rice cooker and the rice will be ready when the beans are. Dinner is served! Heat the oil into a skillet over medium high heat. Add the celery, onions, bell pepper, scallions and garlic. Stirring often, cook the mixture for 6 minutes or until the onion is tender. Transfer to a 6 quart slow cooker. Add the beans and stir to blend in. Pour the water and broth into the slow cooker. Add the crushed peppers and stir to blend all the ingredients together. 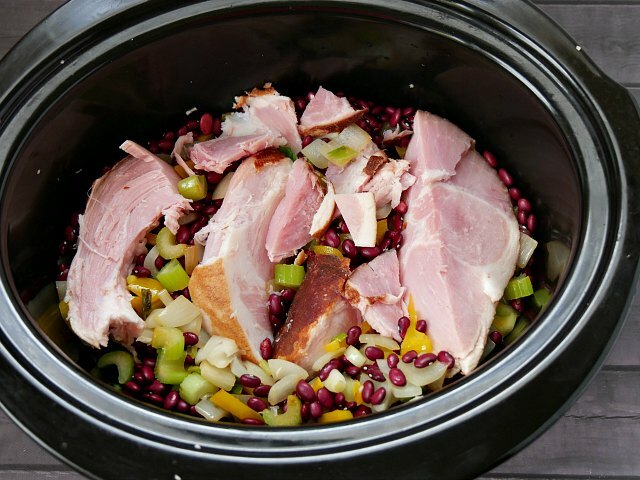 Bury the ham into the beans. 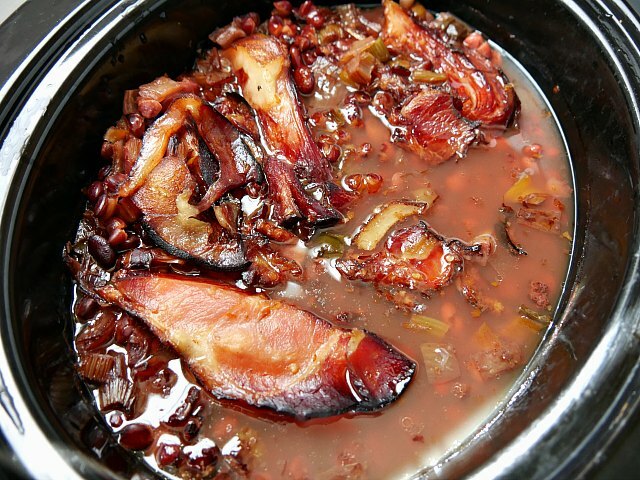 Cover the slow cooker and cook on low for 9 hours or until the beans are tender. Remove the ham hock and remove the skin and any fat. Shred the meat and place back into the beans. You can also cook this on high for 4-5 hours. 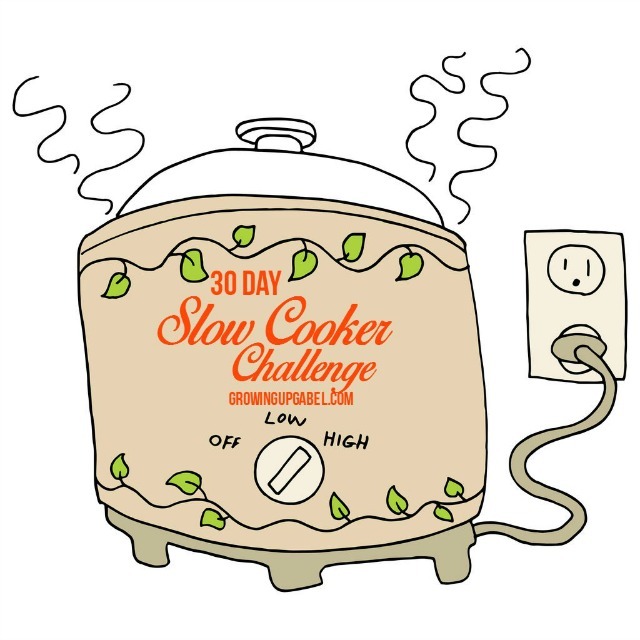 Make sure to check out the entire list of recipes from the 30 Day Slow Cooker Challenge! How long should it cook on high? ?